I can hardly believe that the 6th annual Capital City Film Festival is finally here. I’ve been waiting so long. Mark your calendars beginning Wednesday and running through Sunday (April 6-10.) A film festival celebrates film. This festival not only celebrates great film, but it’s a multimedia event showcasing independent films and includes great live music (think touring bands,) a special film-making workshop for the youngsters, a fortnight film and game contests, and of course the award presentations. Kudos to CCFF for including quite a few films that are making their debut in Michigan during this festival. Venues include Lansing Public Media Center, Old Town Temple, Surveyor’s Museum (showing mainly short films) and the Lansing Center. The bands will be performing at Mac’s Bar and The Loft. The schedule was announced earlier this week and right off the bat there are a number of things I don’t want to miss. Count me in for the short films. And making fun of the movie Top Gun. Be sure to take the fam to the Wednesday evening partnership with the Lansing Symphony featuring Disney’s short cartoons from the years 1929-1939. Find all kinds of Michigan premieres, live music, and awards. And the culmination of the Capital City Film Festival? 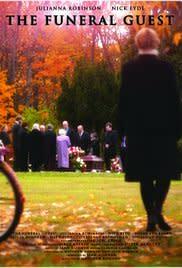 For me it will be Sunday evening’s movie, “The Funeral Guest.” Filmed in the Lansing area with backdrops like Mt. Hope Cemetery and produced by our friends at Ahptic Film & Digital, I’ve been waiting for this movie to come out for a while now. I’m super excited. Did I mention that already? You’d better Believe It. Let’s all go to the movies!!! NOTE: Some events are free of charge. See the schedule for details. Film Events: $5, Concerts: $10-$15, All-Access Pass: $50, Patron Pass: $100. 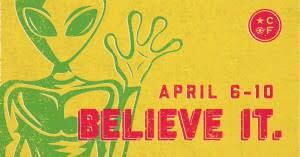 The CCFF all-access pass includes admission to all film screenings, concerts, and parties. The patron pass includes all that plus unlimited free popcorn. Looking for other festivals coming up in the Lansing area? Check this out!